At many airports, the checked in baggage is conveyed and automatically dropped to chutes by the airport’s sorting system. 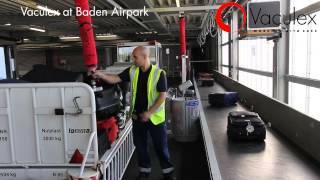 The baggage then needs to be moved from the chutes to carts which will be used for transporting the baggage to the airplanes. The area where baggage is moved from chutes to carts usually is characterized by low headroom and sometimes also limited working space. 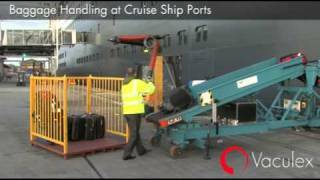 For departure at ports, the baggage is usually loaded from a conveyer belt onto open carts which are then transported to the cruise ship. 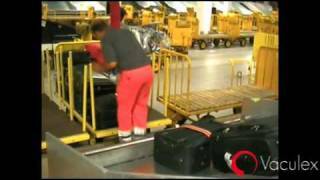 When unloading airplanes as well as cruise ships, the baggage is usually loaded onto carts that will be used for transporting the baggage to the arrival terminal. 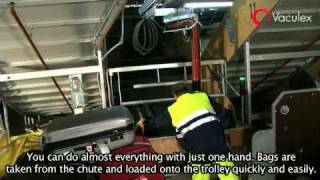 The unloading of baggage from carts to conveyors or carousels is characterized by a fast work pace. 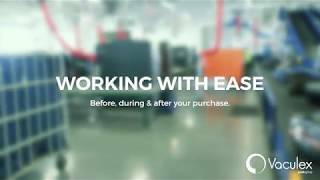 Vaculex® lifting solutions for moving, loading and unloading baggage between open carts and/or conveyors are specially developed for a fast work pace and handling almost all types of baggage with weights to 100 lbs.. 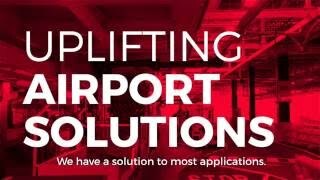 The solutions are specially developed for handling all types of baggage, also in areas with low headroom and with limited available working space. 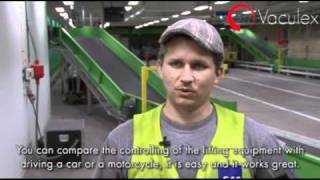 With Vaculex® BaggageLift the baggage handler gets the best solution that is easy to work with and above all – safe to work with!